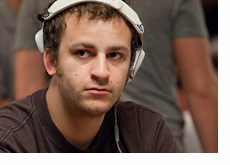 In late 2007, Sorel "Imper1um" Mizzi was permanently banned from Full Tilt Poker. It turns out that the ban wasn't so permanent, as Mizzi has returned to playing on Full Tilt Poker as of last night. "19/25 in FTOPS #33 $300Rebuy- already won a ton in prop bets seeing if I can close big on first day back on FTP"
"Imper1um" ended up finishing in 24th place in the tournament for $5,791.50. Sorel Mizzi was banned from Full Tilt Poker in late 2007 after it was revealed that he had taken over for Chris "BluffMagCV" Vaughn late in a Full Tilt $1 Million Guaranteed tournament. The "BluffMagCV" account went on to take down the tournament and the $200k first place prize. A short time after "BluffMagCV" took down the tournament, second place finisher Soren "Kongsgaard" Kongsgaard received an email from Full Tilt stating that "BluffMagCV" had been disqualified and that "Kongsgaard" had been declared the winner of the event. The $200k was confiscated from "BluffMagCV", and "Kongsgaard" was awarded the first place prize money. A short time later, Full Tilt Poker revealed that another player had taken over for "BluffMagCV" when there were just 26 players left in the tournament. This player was later revealed to be Sorel "Imper1um" Mizzi. Mizzi later revealed that he had purchased Vaughn's account with 26 players left. Vaughn logged out, Mizzi logged in and Mizzi ended up taking down the tournament. It was later revealed that both Mizzi and Vaughn had been banned from Full Tilt Poker. 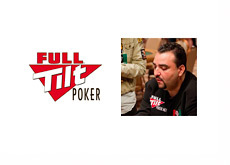 So, more than three years after being banned from Full Tilt Poker, Sorel Mizzi has returned.